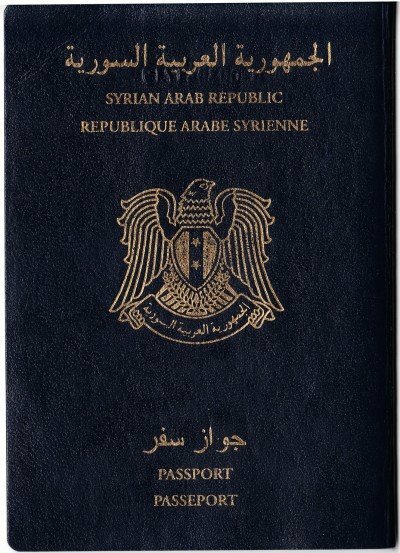 Reports concerning the Barcelona attack, reveal exactly the same feature of passports and IDs left behind which occurred in Manchester, Paris, Nice, London, New York, and now Barcelona (August 17, 2017) (see below). The reports are notoriously contradictory: the latest Telegraph report (18/08/17) suggests that the suspect who was driving the van is 18 years old by the Name of Moussa Oukabir, and that his brother is Driss Oukabir, 28 years old and that it was his brother who rented the vehicle. “presented himself at a Catalan police station in Ripoll to deny having any involvement in this afternoon’s attack. 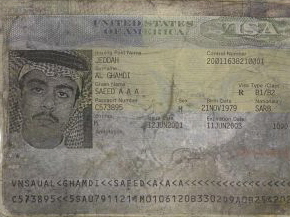 He claims his ID was stolen and used by the terrorists to rent one of the vans used for the attack. The report below suggests that the passport discovered in the van provided a lead to “the Alcanar house where bombs were being prepared”. Allegedly the passport was found in the van used for the attack in “an accidental explosion that took place on Thursday morning in the town of Tarraconense. This finding allowed linking the terrorist attack in Barcelona with a wounded in the Alcanar accident”. Legitimacy of the official stories? The UK is both a “victim of terrorism” as well as a “State sponsor of terrorism”. Without exception, the governments of Western countries which are victims of terror attacks, have supported, directly or indirectly, the Al Qaeda group of terrorist organizations including the Islamic State (ISIS), which are allegedly responsible for waging these terror attacks. Amply documented Al Qaeda is a creation of the CIA. The Manchester Terror Attack, May 2017. Manchester Attack as MI6 Blowback? No image of the alleged bankcard is available. Berlin Truck Terror Attack, December 2016. The suspect’s identity papers were found inside the truck used in Monday’s attack on a Christmas market, which left 12 people dead, German security officials said. The suspect was known to German security services as someone in contact with radical Islamist groups, and had been assessed as posing a risk, Interior Minister of North Rhine-Westphalia Ralf Jaeger told reporters. The Nice Terror Attack: Towards a Permanent State of Martial Law in … the alleged perpetrator is dead and conveniently left behind his ID. During last night’s celebration of the French National Holiday, around 11 PM, a speeding truck plowed into a crowd of thousands who were watching the fireworks along the Mediterranean Boulevard Anglais. The driver of the truck, was simultaneously and indiscriminately shooting into the crowd. He was able to run for 2 kilometers before being stopped by police, which instantly shot and killed him. A horrendous terror attack, killing hordes of people, spreading pain, misery, fear and outrage in France, Europe – the world over.All indications signal the Big Script of yet another false flag; yet again in France. The young truck-driver was identified as a 31-year-old Frenchman, resident of Nizza, with Tunisian origins. As in previous cases, ‘coincidence’ has it that his identity papers were found in the truck. The young man is instantly killed by the police. Dead people cannot talk. A pattern well known by now. 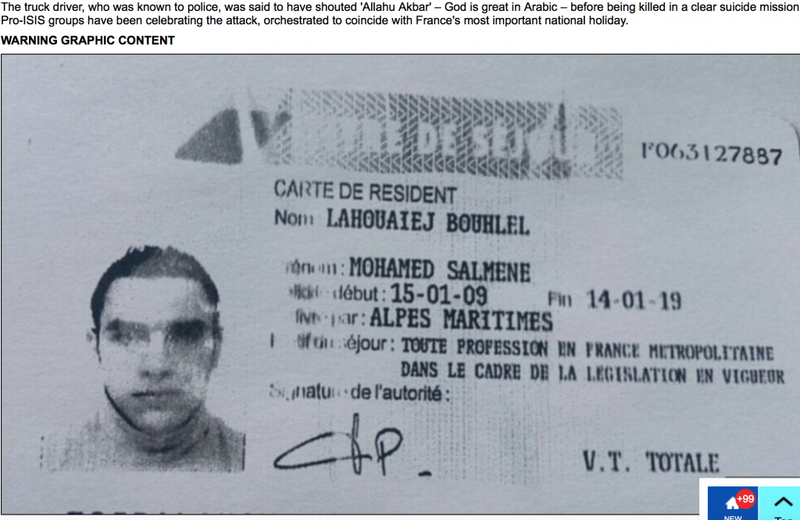 Police found the ID of Said Kouachi at the Scene of the Charlie Hebdo Shooting. Does this Sound Familiar? The Islamic State (ISIS/ISIL) declared that it was responsible for the latest attacks in Paris as did Al-Qaeda who also claimed responsibility for 911. … However, there are similarities between the terror attacks in Paris and New York City on September 11th. First, Syrian and Egyptian passports from two of the suicide bombers were found at the scene of the stadium attack in the northern part of the city. 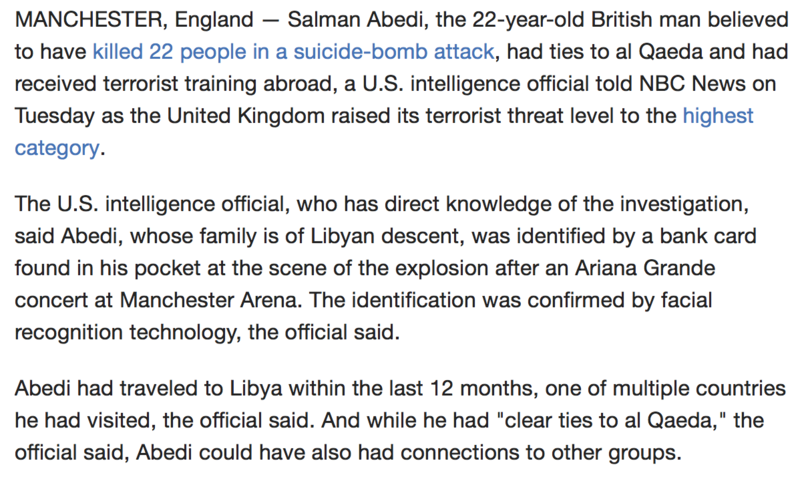 After both suspected terrorists detonated their explosive devices, their passports were still found. 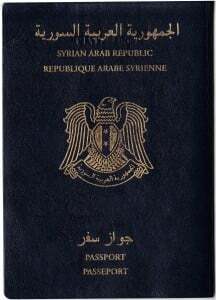 In the context of the enquiry about the Paris massacres, a Syrian passport (image right) was found next to one of the kamikaze bombers of Stade de France. After being pointed out as responsible for the attacks by President Hollande, ‘the Islamic State’ claimed that they had engineered the onslaught. The French executive, that had already stated tht they wanted to take action in Syria allegedly against ISIS, but actually against Bachar El Assad, who ‘has to go’, sees in this a significant clue that comfort their military expedition. “In the official version for 9/11 the FBI claimed that they found the unscathed passport of one of the pilots near one of the towers that were reduced to ashes by explosions whose heat melted even the steel columns in the buildings’ structure. 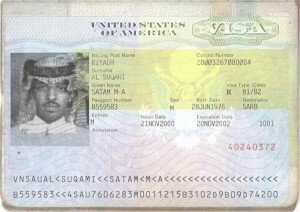 The fourth plane’s crash near Shanksville also yielded a passport which, though scorched, still made it possible to read the person’s first name and surname and to see his ID photo. This is all the more disturbing as nothing at all was left in the crater, no part of the plane or of the people travelling in it, only this partly scorched passport. The Visa of Satam al-Suqami: This identify document of one of the alleged 9/11 hijackers somehow survived unscathed a few blocks from the twin towers, though the plane itself was virtually obliterated. 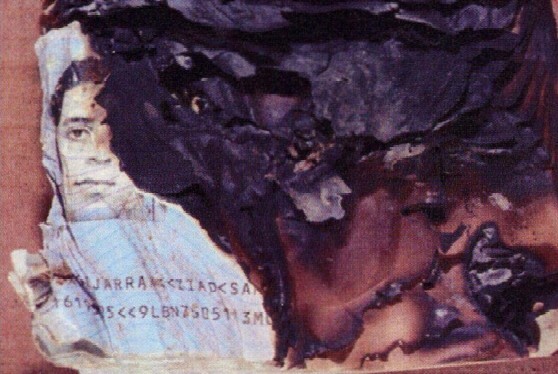 The Passports belonging to Ziad Jarrah and Saeed al-Ghamdi: The passports of two alleged hijackers of United Airlines Flight 93 supposedly survived the fiery crash in Pennsylvania that left the aircraft itself charred and widely scattered—with one passport entirely intact. Remains of Ziad Jarrah’s visa. Food for thought?Can we believe the official narrative of HM government?No questions asked. Can we believe the Western media? The passport and papers dropped or left in the / near the attack is quite a suspicious thing. In the USA one rarely carries a passport with them when not committing a crime unless that is the only ID one has, and we know that many of the 911 named perps had US military ID and US driver's licenses [which in the USA is the standard/universal ID card one carries]. In Europe one doesn't use a passport these days unless one is going on long-distance flight out of the EU; and persons about to commit a crime usually have either NO identification papers or false ones. In Europe, every country has a national ID card - people just don't carry passports around with them, unless that is the only ID they have - but again, not when committing a crime. Just sayin'. We are in a time when major media outlets question NOTHING. They just report what they are told. Last edited by Lauren Johnson; 08-23-2017 at 01:12 AM.